So, today’s recipe actually comes from the 2frugalfoodies archive. 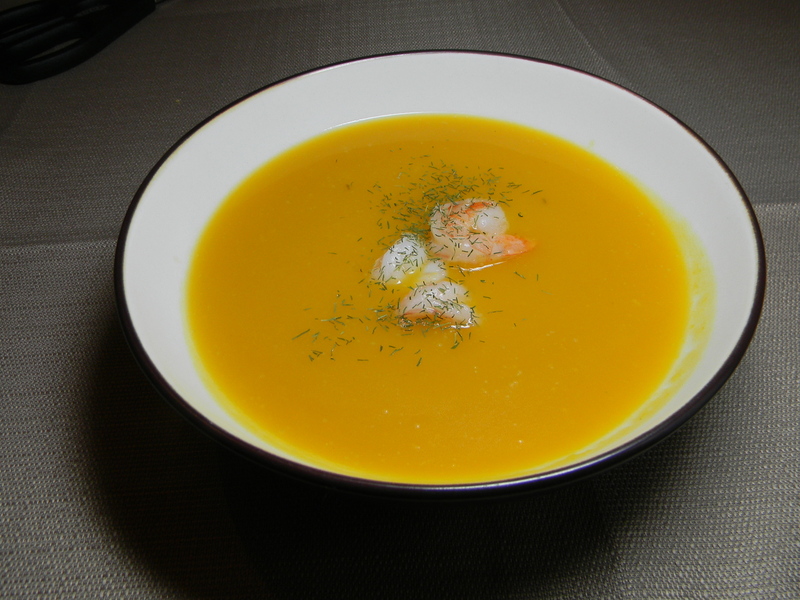 We made this soup last winter, but never got around to posting it on the blog. It’s a great, simple soup, and it’s a fantastic comfort food for January, especially if January is cold where you are. We included shrimp as a garnish (an idea we got from an old Williams and Sonoma Italian cookbook), and the added protein makes this soup a meal of its own instead of just a starter course. We’ve got our sites set on this recipe for when the cold does finally descend!